Recently a rare Bullard & Sons original leaded sash window panel came into the workshop to be rebuilt. The panel was in a sorry state with the word ‘Stout’ almost completely lost. The entire window panel was rebuilt with new leadwork and replacement glass where the panes were cracked or lost. Once completed it has been mounted into a purpose built wooden frame allowing it to be mounted on a wall. 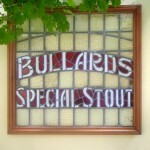 The panel was almost certainly fitted within one of the Bullards public houses as a form of advertising. These were used just in the same way as beer mats, bottles, and glasses to show brewery allegiance. The panel features a mix of ‘flashed’ red glass and a pearl white to form the lettering all then surrounded by a ‘cathedral’ type glass. This original panel was discovered at a sale within a Norfolk steam fair in the late 1980′s and has been awaiting a full rebuild ever since. 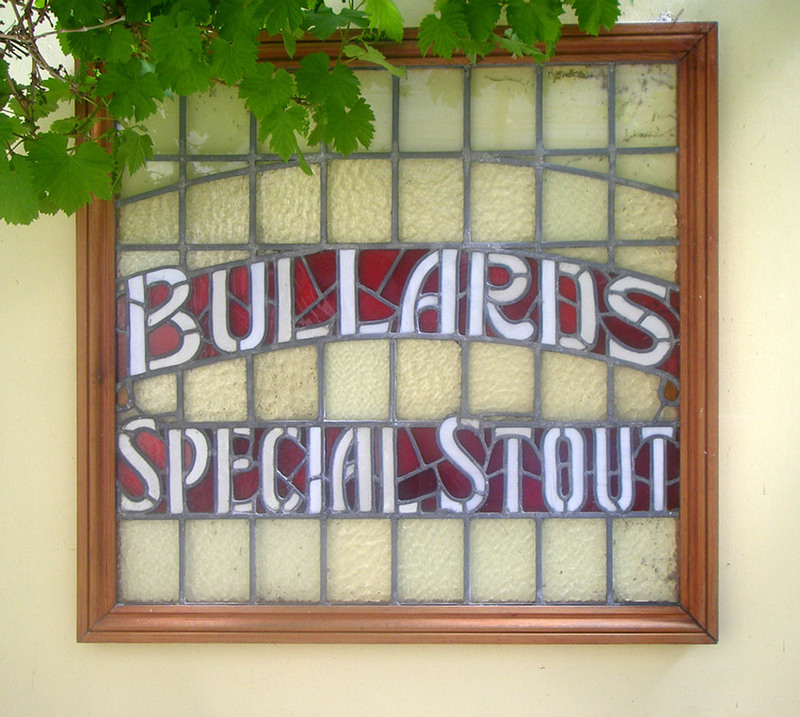 Once these were commonplace in every public house but now very rare to find in a salvageable condition.